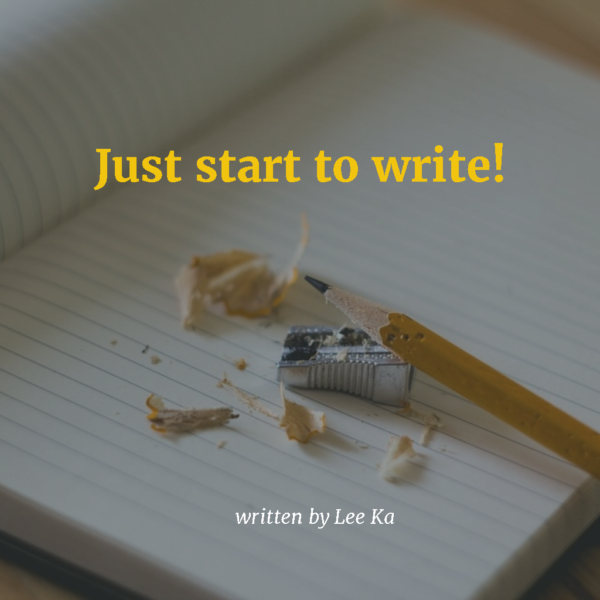 Stop limiting belief and just start to write! I received the newsletter from Ruth Soukup from Living Well Spending Less this morning. In the newsletter, she mentioned a friend who would like to grow his business and focus on his blog, but some major childhood insecurities held him back when he thought about writing. Her advice to her friend is to just WRITE as the best way to become a better writer is to write. She also suggested a challenge for her friend to spend the first hour of every day to just write, and not to stop until he has at least 500 words. There should not be any editing or judging, but just writing every day. Her friend did that and told him it was a good challenge, and he is less afraid of writing every day since he started the challenge. It is an inspiring story. There are many times we have one of these limiting beliefs. Ruth stated a limiting belief is a thought or belief we have about ourselves that holds us back from achieving our full potential. These beliefs might not be true, but they are really holding us back from getting where we want to be. I watched a webinar by Michael Hyatt yesterday which is about writing a book. He also mentioned there are restrictions that hold us back from achieving what we want, for example publishing a book. These restrictions include fear, uncertainty and doubt. To overcome these restrictions, we just need to start, focus and finish it. Yes, if we do not start writing, we always have the fear as we do not know whether we can really write. If we do not start writing, the fear will definitely become real, as we are not writing at all. If we are uncertain about the path, we should just focus on the direction we want to move forward, and just walk towards it. We will get to know better and clearly once we get down to the path. We should just keep writing and finish it so we will not have any doubt on ourselves. I do not write much at LiteracyBase because of the word requirements. I do not always have much time to focus on writing without any distraction from my kids and I am not sure if I can reach at least 300 words in a short time, hence I usually do not start writing. But there are many times once I start writing, ideas just keep flowing in and I can just hear the typing sound from the keyboard. Michael Hyatt also said that inspiration does not show up until you do. I agree with that, and there are many times I can hit 500 words in my post without struggling. Without starting, I always worry I might not even reach 300 words. So, I think it is always good to stop this kind of unhealthy limiting beliefs, and just set the goal or vision, plan for it, start moving forward and focus on it until it is finished. I believe the more we practice, the better we will be, and we should not worry about being perfect too. Mirror of Self Reflection especially for the youth. Join us at LiteracyBase. Read more of my articles here.